A true Catskill Farmhouse design with the big stone fireplaces, the best clapboard cedar siding, Farmhouse windows, Wrap around fir porches and trim details as if from the 1800's. 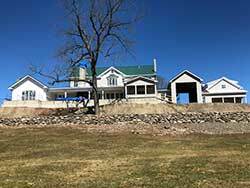 The owners plan of making a new farmhouse to replace the original Farmhouse and incorporate old components from the original home with natural stone from the site will make this a one of a kind home. The rear of the home will feature a screened porch room off the kitchen, covered stone patios, with columns, A central outdoor fireplace all overlooking a beautiful pond. The home will incorporate old period doors and sinks, wide board heart pine floors, Cast iron claw foot tubs, Barn Beams, old historic light fixtures and Historic hardware combined with the most efficient new mechanical systems and building materials. The original farm will be brought back to life to last many generations for the owners family. I specialize in building new homes to look like old homes but this is the most special project due to the owners commitment to the details and finding the perfect balance between old and new. The scope of this estate build also includes extensive site work with over 800 feet of beautiful dry laid stone walls and a stone column gate entry. Boulder walls, Natural terraced landscaping,New service roads, new infrastructure for septic, underground electric, wells and new pond construction. Shay Builders L.L.C. has been a Westchester Cty, N.Y. builder, Dutchess Cty, N.Y. Builder and Putnam Cty. N.Y. Builder for over 30 yrs. We are a North Salem N.Y. Builder where we renovated the William Randolph Hearst property "Snow Hill Farm" and built North Salem Post & Beam Barn Homes. We are also available as a Millbrook N.Y. builder, Sedgewood Club N.Y. Builder, Garrison N.Y. Builder and Rye, Scarsdale, Mamaroneck, Pelham & Brewster N.Y. Builder. 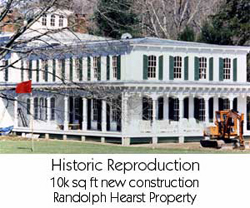 We specialize in Historic Home Reproductions and Renovations and Traditional New Home Construction and Custom House Framing. We combine the latest green building materials and energy efficient mechanical systems with old school techniques to provide the highest quality build available. 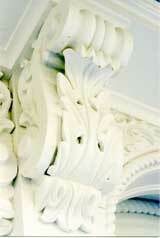 Our commercial focus is on church building, traditional and modern and commercial architectual storefronts. 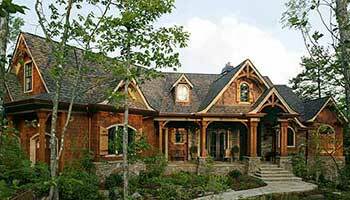 If you have a great site for your dream home, We would be happy to build for you a vacation home in the Adirondacks or Catskills as well as your dream home in the Bahamas and the Caribbean. 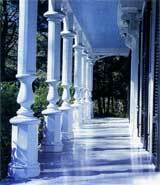 Shay Builders has specialized in restoring and reproducing historic homes dating back to the 1800's. We custom match all details exactly as they were originally done, except with an emphasis on new techniques that will last a life time. The detail and warmth of these old homes is the key to their popularity and many features in these great houses are back in style today. Make your new home feel like it's been in the family for hundreds of years. Trinity-Pawling School Farmhouse renovation. 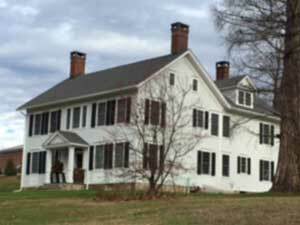 In the picture on the right is the renovation done to a Trinity-Pawling School Farmhouse. When completed it had the craftmenship reminiscent of its grandeur of times past . We specialize in Historic Reproduction Homes, Renovations and Traditional New Home Construction and Antique Barn Homes in Rye, Scarsdale, Mamaroneck, Pelham & Brewster N.Y. and beyond. We will Design / Build / Fabricate your future small home to meet todays financial need for an energy and space efficient home. We use the latest green building technology and energy efficient mechanical systems to build a home perfect for Couples, Retiree's or Vacation homes. Smart design doesn't need to be an oversized home with wasted space and high cost's. The benefits of lower taxes, lower utility costs and less maintenance, all designed into the perfect size space for your needs. There is a fine line today between Tiny houses which may be practical for a few situations and building too big to try and meet every need. Small home design meets the need for just the right amount of space and lower living costs without sacrificing quality and comfort. An affordable high quality Small Home built with todays new materials and systems is the answer to todays high cost of living. In New York we build Catskill and Adirondack small homes, tiny houses, vacation homes and great camps. 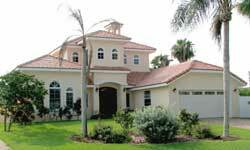 We are the builder known for the best fit and finish and smoothest running projects that are on time and on budget. A few photos are for design/sample purposes and not by Shay Builders. Credit is due to original designer.